Amazon and Whole Foods Market have joined hands so they could bring the finest natural and organic foods to more people around the world. Good news to Amazon Prime Members! Soon, Whole Food’s natural and organic food will be offered at specially-discounted prices to everyone with membership to Amazon Prime. Amazon.com, Inc. (NASDAQ:AMZN) is finalizing its $13.7 billion acquisition of Whole Foods Market this August 28, and the two companies will be sharing together in the endeavor to make healthier foods more affordable. “We’re determined to make healthy and organic food affordable for everyone. Everybody should be able to eat Whole Foods Market quality — we will lower prices without compromising Whole Foods Market’s long-held commitment to the highest standards,” Jeff Wilke, Chief Executive Officer of AmazonWorldwide Consumer, said in a press release. To start it off, Whole Foods will be lowering prices starting Monday on a selection of their most popular grocery staples. It’s been also planned to make Amazon Prime as Whole Foods Market’s customer rewards program. According to John Mackey, Whole Foods Market co-founder and Chief Executive Officer, their partnership with Amazon will enable them to bring the highest quality food to more people around the world. Prices will be continuously lowered as Amazon and Whole Foods conduct innovations together. Efforts to support and promote local suppliers and their products will be expanded, as well. Starting Monday, there will be lowered prices on a selection of best-selling Whole Foods products like organic responsibly-farmed salmon and tilapia, animal-welfare-rated 85% lean ground beef, Whole Trade bananas, organic avocados, organic baby lettuce and kale, organic Gala and Fuji apples, organic rotisserie chicken, organic brown eggs, 365 Everyday Value organic butter, and more. With Amazon Prime as Whole Foods Market’s customer rewards program, Prime members will soon enjoy special savings and other in-store benefits. These, of course, are in addition to all the privileges they’re already getting from Amazon such as Free Two-Day Shipping, instant access to video streaming, ad-free music streaming, and unlimited Prime readings. com, AmazonFresh, Prime Pantry and Prime Now will also soon offer Whole Foods Market’s nutritious and excellent-quality private label products. These include 365 Everyday Value, Whole Foods Market, Whole Catch, and Whole Paws. Meanwhile, select Whole Foods Market stores will offer Amazon Lockers. 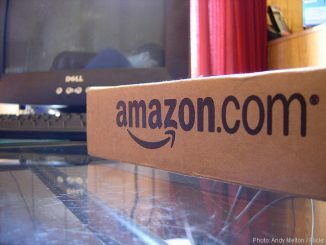 Customers will soon have the option of having products shipped to their local Whole Foods Market store from Amazon.com for pick up. They can also do product returns to Amazon via their Whole Food store. And there’s more to look forward to! Whole Foods Market will be opening more opportunities for communities to grow with them. Expect more jobs to be created as they open new stores, employ new team members, and provide more support to local farmers and artisans. The Whole Foods Market brand will likewise be maintained. This way, everyone is assured of getting the finest natural and organic foods. continue their The company’s relation with trusted vendors and partners around the world will also continue. John Mackey will remain as Whole Foods Market’s CEO and its headquarters will still be in Austin, Texas. Whole Foods Market started in 1980, a natural food supermarket which –through its pursuit of excellent quality and dedication to its mission — has grown into a world leader in natural and organic foods. Today, it has 470 stores in North America and the United Kingdom. Their partnership with Amazon will surely bring more success and better health to the world’s populace.